Whalley Freemasons Remember The Fallen. Eight Brethren wearing a wide spectrum of Officer Collars and representing Lodges at Whalley Masonic Hall, attended the ‘Whalley Remembers’ Parish Church service. We were greeted by the Vicar, the Revd. Jonathan Carmyllie and shown to seats in the chancel as the nave seating was taken up by members of the public; the majority being various sections of the local Scouts and Guides. 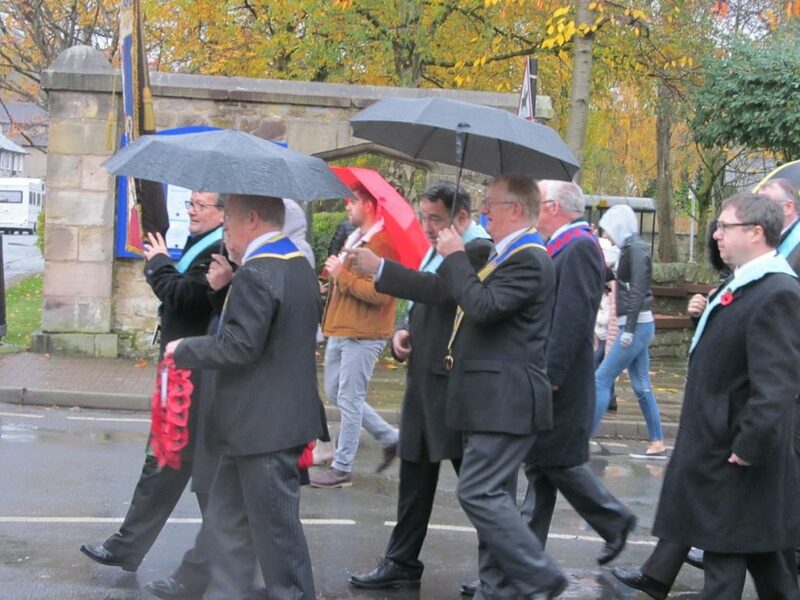 After the Service of Remembrance, a Parade formed up in Church Lane and processed to the War Memorial in what can only be described as a downpour; the Masons present behind Abbey Lodge’s Banner. A short Act of Remembrance was followed by the laying of wreaths at the base of the Memorial. 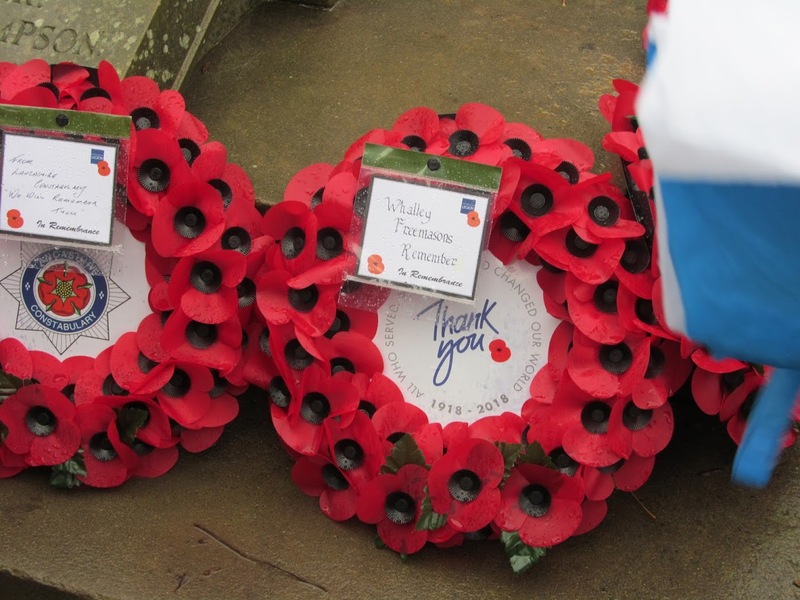 WBro James Sutcliffe laid a wreath inscribed ‘Whalley Freemasons Remember’. Afterwards the villagers made their way to the Abbey for a community lunch.